The Ex-CIA official Andrew Bustamante has shown his concern about the blockchain technology, and it can be a threat to US national security in the long run. According to him, it is powerful stuff and anyone who can hack it or manipulate it wins. By his concern what Bustamante might have indicated? Is blockchain really a threat or weakness? Frequent cyber-attacks carried out on cryptocurrencies has even left the financial industry wondering whether blockchain technology is strong enough to withstand the criminal activities. Its decentralized nature can be a threat to national security as it can bypass the regulations and encourage criminal activities like money laundering, terrorism, etc. Failure of the technology at multiple instances has put it under question. From his statement Bustamante might have indicated about the weakness, the blockchain technology has. And he might have suspected that quantum technology has the potential to break the encryption technology that stores cryptocurrency. However, the experts are also divided on the public nature of the technology. Some of them view it as a help while to others it is a hindrance to the security. Many of them believe that the successful adoption of this technology of the technology can only happen if appropriate risk management is done. However, views of Bustamante should not be considered a view of CIA. As CIA relatively keeps mum on topics like blockchain and cryptocurrency. They have not yet confirmed or denied whether it has information on Satoshi Nakamoto the creator of Bitcoin. Many of the former CIA members, on the contrary, are quite active in this sphere and are followers of the crypto news. Many of them write regularly on crypto topics. One of the ex-CIA Expert Yaya Fenusie is fairly confident that this technology is not a threat. Many other former CIA officials have involved themselves with the crypto world by involving into regulatory compliance or trading platforms. Most of them are positive about the future of blockchain technology. They have the view that in the future the technology will improve itself to be more transparent. 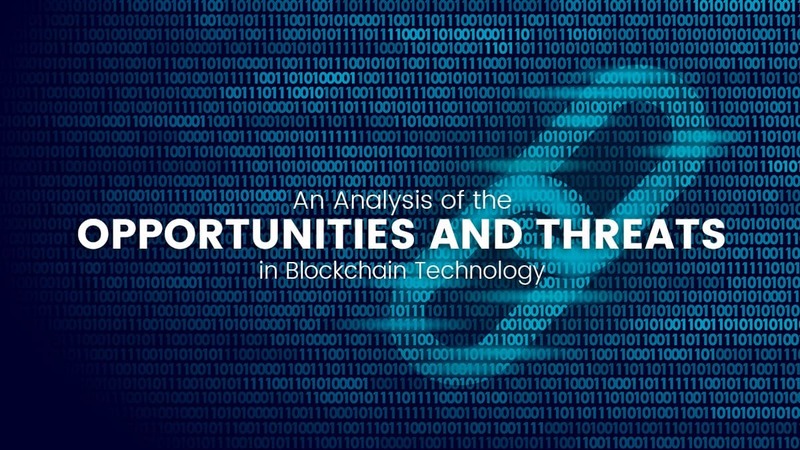 Blockchain technology has proved itself to be robust and secure many times in the past. But that does not mean it will not have any flaws in it. It has navigation into the compound world of blockchain that requires a clear idea of the technology and how to solve the issues. CryptoEighty LLC is a News Publication Media that provides updates on cryptocurrency, ICOs, DApps, and blockchain. As more and more people turn to cryptocurrencies every passing day, we cater high-quality, unbiased and well-analyzed content to them. We cover the latest news, price analysis and interviews for the crypto community.Reporters at CryptoEighty work round the clock to provide upbeat, timely and consistent news updates to its readers. Thus CryptoEighty endeavors to fill the void of a reliable source of information in digital currency community. Address: 708 Main Houston, The Jones Building, Houston, TX 77002, USA. Copyright © 2018. Cryptoeighty. All Rights Reserved.